Identity theft has become a huge problem. In fact, it is the fastest growing crime in the United States. Recent statistics suggest that 10 million cases of identity theft occurred in the past year. This rise in identity theft has produced a number of companies that seek to protect you from criminals that might steal your good name and credit rating. 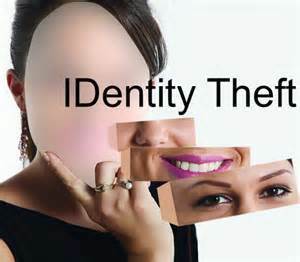 Not only is identity theft a problem in our culture, it is a problem in the lives of Christians as well. Any follower of Jesus has the potential to fall victim to Satan’s lies if they do not know their true identity in Jesus Christ. We often allow our culture to define who we are instead of the truth of God’s Word. Our culture says our worth is based on our skills, accomplishments, status, financial resources or our appearance. As women we are particularly vulnerable to lies about our appearance which can result in obsessions with food, dieting, clothes, make-up and even plastic surgery. As a teenager, I didn’t like my appearance very much. In fact, I can remember standing in front of the mirror in my bathroom screaming at my self – “I hate you, I hate you, I hate you!” In my eyes (and the world’s) I did not measure up. I had a bad case of acne. My hair was fine and straight. I was out of proportion – big where I didn’t want to be and little where I thought I should have been bigger. I wanted to look like those girls in Seventeen magazines. Eventually, I came to realize that I was allowing culture to shape my values about my appearance instead of searching out God’s truth. Searching out God’s truth takes time, effort and commitment. In our culture where instant gratification is paramount, it is easier to spend our time checking our Facebook or Twitter accounts or watching American Idol than feasting on God’s Word. Satan loves to taunt us with lies about our bodies. Lie #1: Beautiful girls are worth more. The truth is that God says we are valuable because we are His creation and He loves us. He alone gives our lives value. So, in order to combat this lie we must redefine where worth comes from. Even though we may have an occasional break-out or “bad hair” day or gain some unwanted pounds, God still considers us his masterpiece. He crafted us and made us just as we are for a purpose. We must not let our souls be defined by our shells. Lie # 2: Your body is decorative – its purpose is to attract the attention of men and the envy of women. The truth is that our bodies are useful. God created them to accomplish His purpose in our lives and in His world. Lie # 3: Your body is yours – you can do with it as you please. You can neglect it, obsess over it, indulge it, punish it, pamper it, or alter it as you wish. The truth is that if you are a believer, your body is not yours. You are its steward because you were bought with a price. Admittedly there are times I need a refresher course when I think of my body. Recently, I saw a post on my Facebook page about my upcoming high school reunion. Immediately I thought…I need to get busy and lose that 10 pounds I’ve put on, and I’ll need a new dress…and so forth and so on. May we protect our identity in Jesus Christ. May we be good stewards of the bodies with which God has gifted us. May we see our bodies as God sees them. May we use our bodies to serve God so that His purpose might be fulfilled in us. When we know our true identity, we truly are beautiful! Truths to claim: My body is a masterpiece crafted by God, belongs to God and is useful to accomplish God’s purpose. Application: Learn to combat Satan’s lies about my body by memorizing scriptures that reveal God’s truths.